Jim Collins said he wanted to write a book about great organizations not great leaders. But as his research grew, he realized great organizations had one thing in common, great leaders. He ended up writing, “Good to Great,” a book about leaders. to demotivate people and destroy organizations. The roots of great organizations are found in great leaders. Point out uncomfortable truths quickly, honestly, and compassionately. Live authentically. Fakers can’t be trusted. Trust is foundational to influence. Monitor and manage emotional states. Feelings impact performance. Expect results and don’t make excuses. Compare themselves with their potential, not others. Concentrate on people. Love is a leadership word. Love winning and compete aggressively. Talk and act humbly. Great leaders make others great. They’re never full of themselves. Engage with others without interfering. Ask “stupid” questions. They aren’t afraid to look stupid by not knowing. Set direction but delegate decisions to those closest to the action. Hold themselves and others to high, agreed upon, standards. Have fun. Many leaders I know take themselves too seriously. Recognize, reward, praise, and honor others. Give back to the community. Generosity is normal, not rare, for leaders who build great organizations. Face forward by thinking, talking, and acting with the future in mind. After writing this post, I found a post I wrote on 6/5/11 titled: “20 Proven Things All Great Leaders Always Do.” It was fun comparing the lists. Which qualities do you find most important, challenging, or fulfilling? What behaviors would you add to this list? Ok today you long, me short Dan! Imagine that! Connect then Flourish. I Grow to Serve you. it is all about what I contributed. Feed the Mind, Condition the Body, GIVE!!!!!!!!!!!!!!!!!!!!!!!!!!! See Dan I really can say more with less words. Thing is My Momma has early onset Alzheimers so I got a lot to do in a short period of time. Remember I told you about that WHY thingy? When, what, how does not matter until the why is big enough, fact. Although they do fall into place when one has the cart before the horse. 3300% growth and the rest of the month to get that number up where it belongs. 2 before me, 68 so far this month. All the points are powerful and important. I like first and last points. Having mentors and coaches, and forward and future thinking.Both are the matter of mindsets. So, leaders develop a mindset of creating culture and environment. These two leadership qualities are challenging and fulfilling. And here I would like to add one behaviour that helps to build such leadership mindsets- element of differences in mindsets, practices and value judgements. When people have difference of opinion where some people have different opinion or favor some people or practices, this compels leaders to create culture to discourage difference. Again, when people have difference values or interpretation for anythings, this leads leaders to create culture of openness and transparency. What I mean to say, great organizations are created out of difference in mind set, values and practices. Such practices create challenge for good leaders and good leaders create good organizations. Leaders are born hopeful and optimists. They see the future where people growth sprouts with equality. And all this happens with forward thinking mindsets. “Love is a leadership word”. That was a powerful statement. Love implies service over self. 1) Leaders should be awed by the responsibility of leadership, not by the power, perks, and pride. 2) Leadership is a role, like parenting. It is not a status. 3) The highest calling of a leader is the success of the organization of which he/she is a steward, preparing it and its members to survive and flourish after his/her departure or death. morning Dan. I’m with Ajay on no 20. – it is very much about facing forward and ensuring people put words to actions. My frustration with leaders comes about when they have all the words and theory and none of the implementation. I know myself i feel best when I have thought ahead and put it too action. Like physical exercise, you never do it for how you’ll feel before you start and it’s no good just thinking about it! Having mentors is very important because most companies fail to promote the strengths of their cultures effectively. By that I mean many times company values are promulgated via the HR seminar, and this falls flat. When you can work with some who has experience and embodies those valued traits, it inspires on a high level, and teaches more. Numbers 13 and 17 are my favorite. Have fun and ask stupid questions! More minds are better than one. I took time also to read your post on 20 proven things leaders do. Great contrbution to leadership development and better society. There is need for leaders to stop treating human as other resources. Dan, how would you compare this verses your 2011 post? Thank you for this post and great list. I have seen too many leaders that believe the great organization is about them, not about their people. They are upside down in their thoughts. Great leaders come from creating great people in their organization. Great list and fully agree. I keep thinking more and more about #14 – prioritize culture building. Especially the the PRIORITIZATION makes the difference as this is often neglected in the day to day work. This list summarizes thousands and thousands of pages of writing on leadership. It would make a great crib sheet to carry around as a reminder for how to strive toward better leadership. Trust is foundational to influence…What a point. True Influence is built on trust and respect. Good to Great is an excellent read no matter what organization you are leading or aspire to lead! A case could be made for all of them, but trust is a biggie in my book. If you always think of the goal and the people who will help achieve the goal, those are important as well. Collins points out that it is so important to have the right people in the right seats on the bus…great leaders surround themselves with great people! I’m glad your earlier list included listening. Listening is not a skill that we are generally taught in school, though it should be. Many leaders lack the fundamental ability to listen and really ‘hear’ what is being said if it is contrary to their paradigm. I really like this list and it includes many of the behaviours that I teach in my creativity workshops. To be able to handle new ideas and people emotions in a smart way that make them feel empowered is one of the keys to open up their creative potential. I wrote an article for the Training Journal in which I expand of the ability to be creative and how it matters. http://www.sofiesandell.com/2013/04/12/creativity-and-the-right-mindset Check it out. Well done Dan. Simple and practical. #1 and #3 are my favorites. Thanks Dan for this. I really resonate with no 3 and 7. Can I feel free to quote these on twitter? questions. They aren’t afraid to look stupid by not knowing. 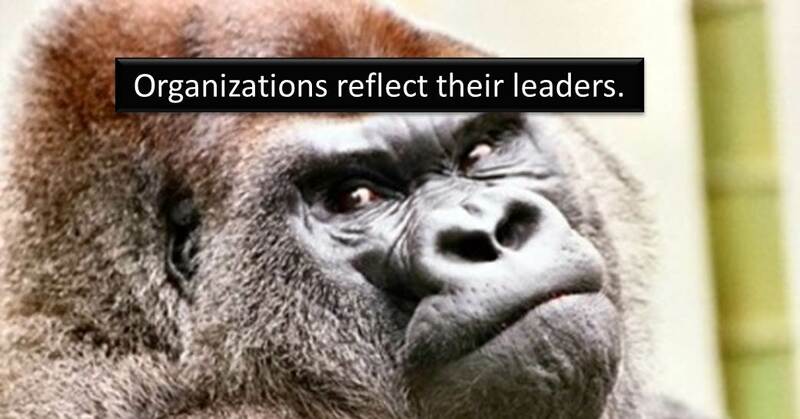 rare, for leaders who build great organizations.